On this episode, Kei meets Gripen at the base. Later, they go on a date to know each other more. This series is somewhat similar to Aoki Hagane no Arupejio, but has fighter jet girls instead of warship girls. Since the first episode, I've been decently enjoying it. Also, looking at our male lead coming from China and starts living in Japan is a bit different compared to usual anime that has Japanese protagonists. 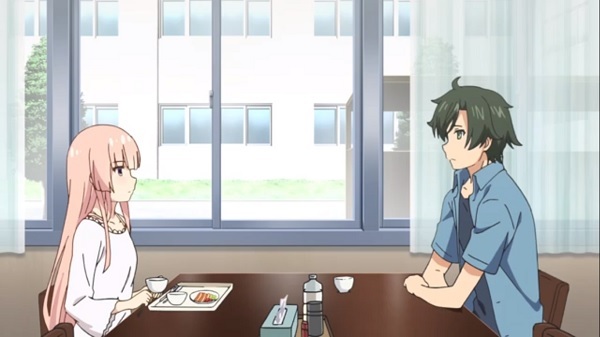 Other than that, it was nice to see Kei and Gripen develop their relationship during their date. Now what's going to be the next plot? I can't wait to find out. Overall, decent character development and some enjoyable moments. Conclusion: Decent character development and some enjoyable moments.